IBM® client centers for SAP solutions provide customized assistance to help customers fully leverage and exploit advanced technologies from IBM and SAP. Access the centers and enhance the SAP solution development lifecycle from end to end. 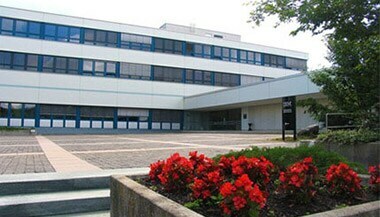 The Lab for SAP Solutions unites technologies and people in order to transform industries. Receive leading-edge thought leadership from IBM Research and SAP. The IBM Client Center – Lab for SAP Solutions provides collaborative and customized business solutions for real-world industry use cases. Utilize SAP tools in the cloud, analytics, mobile, social and security spaces via remote sessions, on-premise consultations and meetings at IBM Centers. By bringing together the full depth and breadth of IBM, coupled with a strategic partnership with SAP, organizations can differentiate their enterprise, understand their customers better, and ultimately be leaders in their industry. The Lab for SAP Solutions focuses on integrating the latest technology from IBM Research, IBM Watson and IBM MobileFirst with SAP solutions such as SAP HANA, S/4HANA, SAP BusinessObjects, SAP Mobile Platform, Hybris, SuccessFactors, Predictive Analytics and Cloud platforms—all to help differentiate your enterprise, contribute to growth and cut cost. 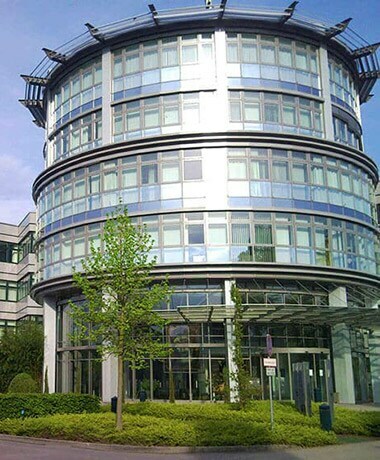 Located on SAP’s headquarters campus in Walldorf, Germany, the ISICC supports and drives marketing and sales initiatives in accordance with the SAP growth strategy. 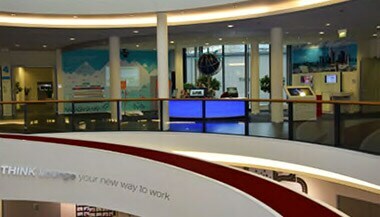 The IBM SAP International Competence Center is the heart of the global IBM and SAP Alliance, based in Walldorf, Germany. It offers first-hand information and solutions regarding software, hardware and services for SAP applications to our customers and business partners. Executive customer briefings aim to focus on specific needs of customers. Each briefing is carefully planned so that it matches the specific requirements of the client. Through executive customer briefings, first-hand information is directly presented to customers by our experts from both IBM and SAP. By offering regular events such as workshops, infodays, and tailored events to a broader audience, we intend to support customers and business partners in their daily use of IBM and SAP products. In addition, we provide customers with the latest innovative solutions that have been developed to further improve services that the IBM and SAP alliance offers to all businesses. The IBM SAP International Competence Center (ISICC) supported the independent software vendor (ISV) Q-nnect AG to make the PLATFORM Q! application available to the IBM Power Systems™ platform running on Linux. PLATFORM Q! is an important component to integrate data from SAP Systems with data from non-SAP systems. In as little as 30 seconds, you can connect and directly interface with multiple ERP systems and data warehouse systems. Industry-oriented centers are located around the world, providing a unique place to observe how innovative solutions and leading-edge technologies help solve business challenges. 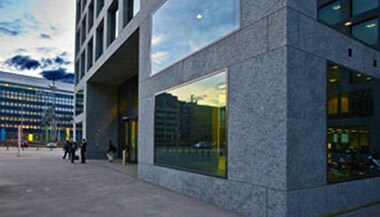 The Global Industry Solution Center (GISC) Nice-Paris is a unique place to accompany clients and partners along the new digital business transformation. With industry technical experts and solution prototype demonstrations, clients and partners can explore and discuss their business challenges, understand the market trends and seize upon new technologies such as analytics, cognitive, cloud and digital to create new business opportunities. International infrastructure centers for SAP solutions operate a worldwide team of expert IBM architects and specialists to help solve SAP infrastructure challenges. In any calendar year, thousands of clients and Business Partners visit an IBM Client Center. Visitors view solution areas in high-growth business opportunities such as cloud, analytics, mobile, social and security in an experiential IBM-branded arena. More than 26 Client Centers are available to serve clients and Business Partners. Engage with technical experts and thought leaders from IBM Germany Research and Development in our IBM Client Center in Boeblingen. Discuss IBM’s latest solutions and technologies like IBM systems, cloud, Internet of Things (IoT), analytics, mobile, security and commerce. 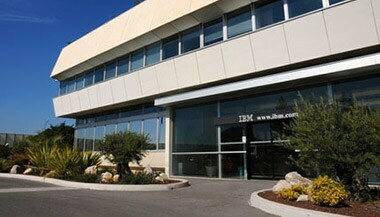 IBM Client Center Montpellier is a global center of competence in which a team of experts and architects have access to the latest IBM technologies to offer solutions for IBM’s complete system portfolio combined with IBM software solutions. Meet your business needs, market your solutions, create opportunities and build relationships with your clients and business partners at IBM Client Center Ehningen. At the IBM Research THINKLab, we offer senior decision makers an experience that helps them envision how IBM can help them transform the way they do business—an experience that delivers the most inspiring innovations IBM has to offer. 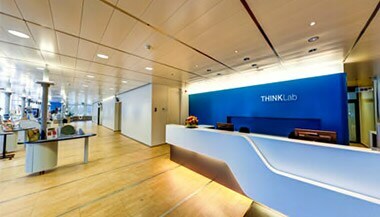 At the IBM Client Center in Zurich, you can learn about current solutions and innovations by IBM and our partners. Use it as a platform to contact your clients and partners. Book your next meeting or event on our premises. 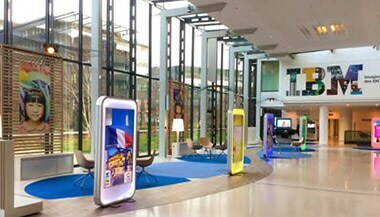 IBM Client Center Paris, based at IBM France headquarters, now offers the only facility in the world that combines exhibition areas, industry expertise and business solutions together with its IBM Studio Paris design studio.